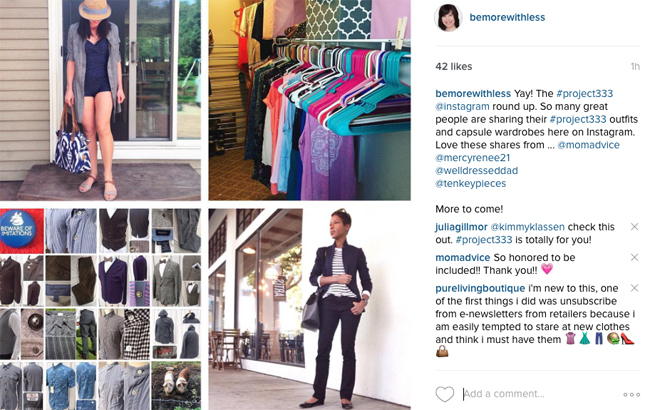 If you are gearing up for your first or next Project 333 capsule wardrobe, you are not alone. I’ve been reviewing my pieces and thinking about what to include. There isn’t a one size fits all capsule wardrobe. This has to fit your body and your life. 33 is not a magic number. If your number is 38, 52, or 95, that’s ok.
You don’t have to get rid of the items you don’t include in your capsule wardrobe. Set them aside and revisit after a few months. A little distance will give you clarity about which items you want to keep or not. 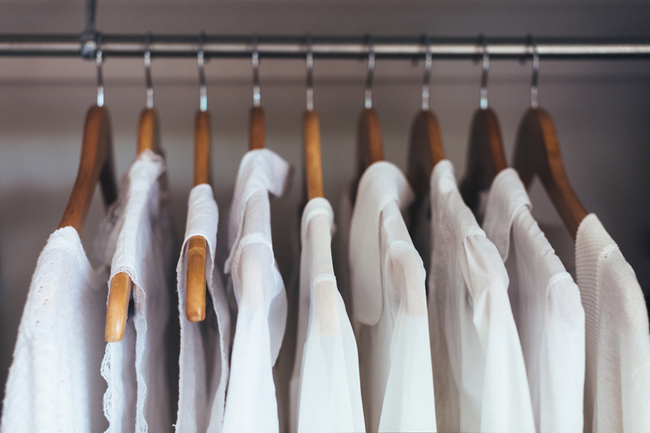 Keep these things in mind when browsing the resources below for capsule wardrobe inspiration. 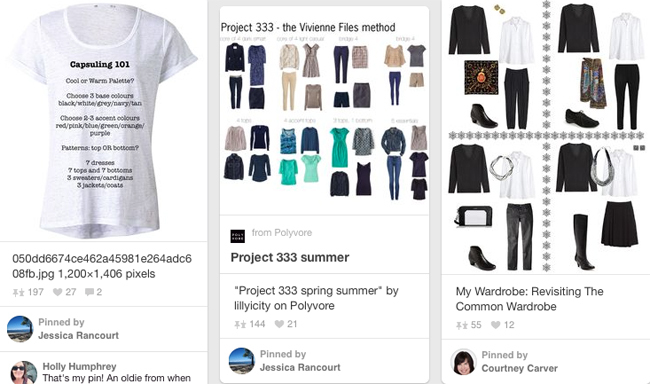 Youtube: I recently searched “capsule wardrobe project 333” and found more than 2000 videos. Wow! I haven’t seen them all, but here are a few I thought were great. If you want to participate, follow me on Instagram and use #project333 when posting your images. Also be sure to check out The Vivienne Files, Recovering Shopaholic, & Sisterhood of the Shrinking Jeans. 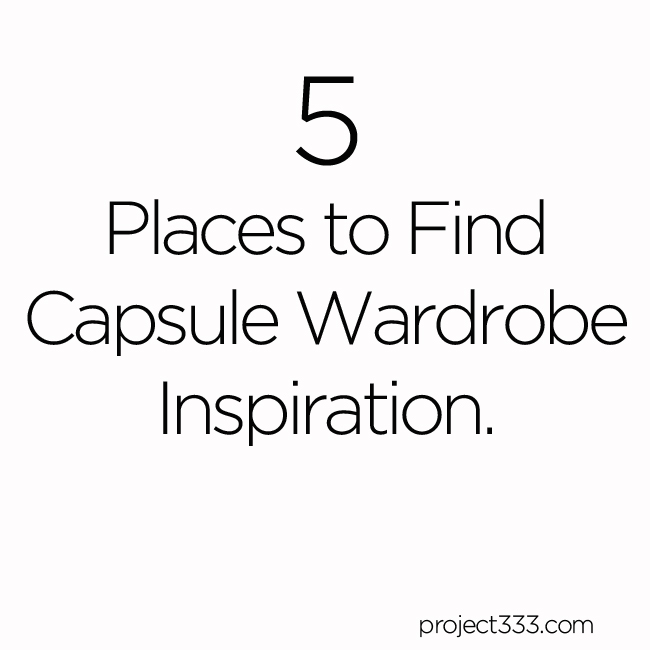 I sometimes write about Project 333 and my capsule collection on bemorewithless.com and recently wrote How to Clean Out Your Closet for Good to help you get ready for the next season of Project 333. Your heart: When you are ready to choose your 33 pieces, the above inspiration is lovely, but what matters is what you love. Start by choosing pieces from your own closet and then give yourself time to dress with less and figure out what makes you smile. If wearing an old sweatshirt because you know you are going to get paint on it while working on your next masterpiece makes you smile, include it. If a frumpy pair of shoes make you smile because they are comfortable to walk miles in, include them. If a dress you’ve been saving for special occasions makes you smile, include it and wear it today. Today is a special occasion. Inspiration is everywhere, but a capsule collection filled with your favorite pieces is the one that will last, and the one you will love. P.S. Learn more and join me on The Tiny Wardrobe Tour. Thanks, as always, for including The Vivienne Files in your list of capsule inspirations; I work really hard to provide fresh ideas and inspirations for us all. And thank you, especially, for your work to encourage all women to look more seriously and deeply at their needs and preferences. Our world needs us to make wise decisions!